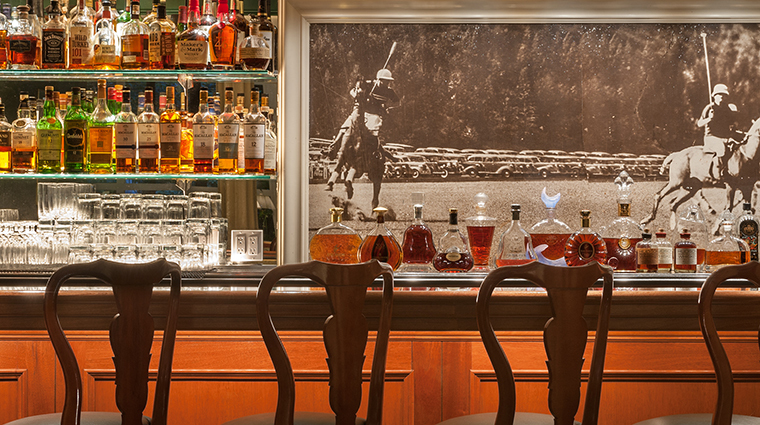 Opened in 1941, The Polo Lounge has an incredible history, with many Hollywood greats of a bygone era — Charlie Chaplin, Marlene Dietrich, Fred Astaire — frequenting the restaurant for breakfast on the patio or cocktails at the bar. The Polo Lounge’s charm and legacy continue to be a magnet today, with influential individuals in the movie biz still showing up to wheel and deal, especially during breakfast. 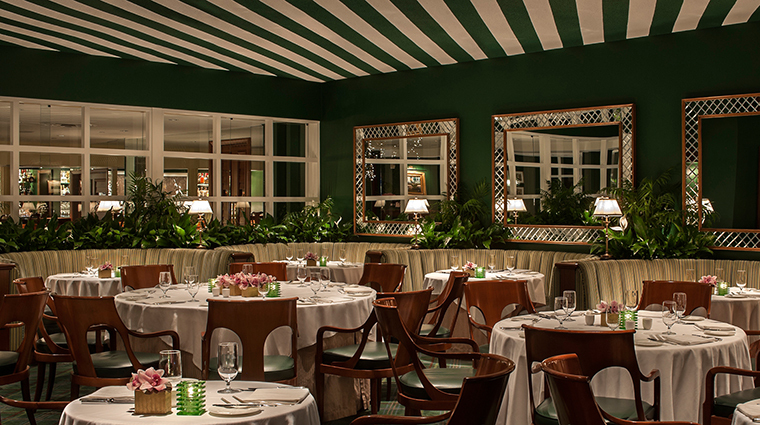 The space inside The Beverly Hills Hotel recently underwent a careful renovation under the eyes of designer Adam Tihany, but the refreshed look pays homage to the classic design. From its forest-green walls to the circular leather banquettes to the black-and-white photos of polo players at the bar and grand piano, The Polo Lounge speaks to a bygone era of Hollywood glamour. Although the restaurant is spread across indoor and outdoor spaces, each room and area still manages to feel cozy and intimate. • This is a see-and-be-seen spot. The mature crowd is a mix of entertainment-industry wheelers and dealers, socialites, celebrities and international jet-setters. • There’s live music and entertainment almost all day long; expect a pianist or singer-guitarist. • Several dishes, such as the Dutch apple pancakes and tortilla soup, are legendarily famous in their own right and have appeared on the menu for decades. 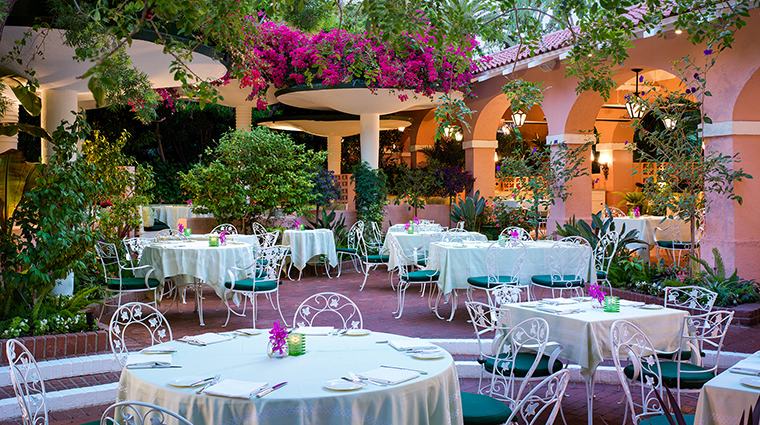 • In the main dining room, large glass windows — that are retractable, no less — overlook a beautiful patio, which is surrounded by lush greenery with bougainvillea draping over the exterior alcoves. • Sunday brunch at is a relaxed and leisurely affair with a live jazz trio playing throughout the day. Savor a three-course menu featuring dishes like an almond-crusted French toast and corned beef hash. • While The Polo Lounge has a decidedly classic and formal atmosphere, a relaxed, smart-casual style is appropriate, especially for breakfast and lunch. You will see seersucker shorts and tennis shoes, but refrain from wearing flip-flops. And ladies, thank Marlene Dietrich — as a resident of The Beverly Hills Hotel in the 1940s, she convinced The Polo Lounge to change its “no slacks for women” dress code. • The most popular tables are Booths 1, 2 and 3 because they are the spots to see and be seen. They are directly in front of the entrance with full views of the Polo Lounge Bar and guests, including celebrities, arriving for their reservation. • The Friday and Saturday afternoon tea spots fill quickly at the Forbes Travel Guide Recommended restaurant. Be sure to book them in advance. 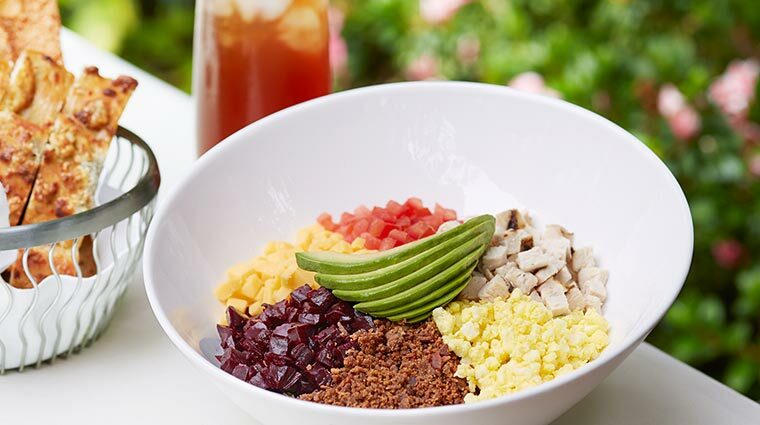 • Named for a polo-player patron, the colorful McCarthy salad features romaine lettuce, chicken, eggs, red beets, tomatoes, cheddar, applewood-smoked bacon, avocado and balsamic vinaigrette. • The tortilla soup starter is packed with grilled chicken, queso fresco, green onion, avocado and crispy tortilla strips. • A crunchy creation, the West Hollywood salad features quinoa, farro, kale, spinach, mizuna, garbanzo beans, hearts of palm, golden raisins, toasted sunflower seeds, feta cheese and preserved-lemon vinaigrette. • The Dutch apple pancakes, a breakfast specialty, is served with sour cream and heirloom apples. • For dinner, indulge in the 10-ounce prime rib eye. Enjoy the cut with whipped potatoes, roasted mushrooms, grilled balsamic red onions and bordelaise sauce. 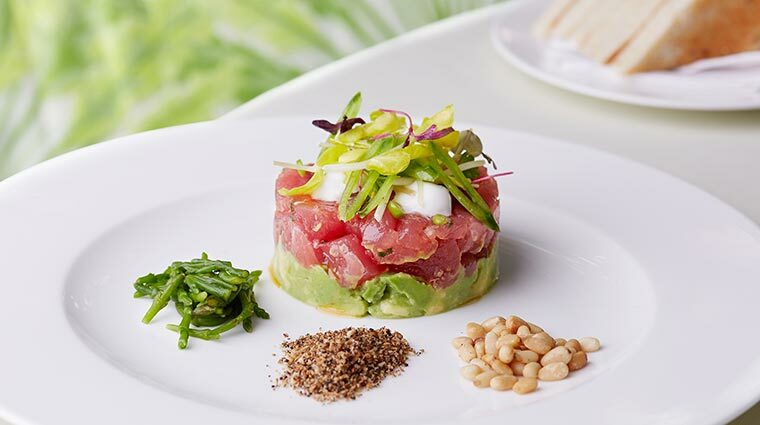 • Kaleo Adams is the executive chef of The Polo Lounge. The Hawaiian-born chef joined the hotel in early 2012 with an impressive background. His first cooking job was at Grand Wailea, a Waldorf Astoria Resort in Maui, and he has since honed his culinary skills at some of the world's best hotels and restaurants, including Ondine, Roy’s, 3660 on the Rise, XYZ at W San Francisco and The Ritz-Carlton, San Francisco. • Chef Adams was one of the first North American hotel chefs to embrace the slow food movement, and he was an early champion of the role that local farmers markets can play in hotel restaurant operations. • Adams has long been passionate about utilizing local, sustainable foods and ingredients, and his menu plans for the Beverly Hills restaurant further capitalize upon the spectacular harvest that California offers — already a highlight of the restaurant’s dining menus. 10 Amazing Alfresco Dining Spots In L.A.